South Coast Pipelines are industry leaders and innovators. As specialised experts in pipe fabrication, HDPE welding and installation, South Coast Pipelines have established a reputation as one of New South Wales most respected pipeline contractors. Working in a wide range of industries, South Coast Pipelines provides efficient HPDE pipe welding services that you can rely on. When you need the job done right, call South Coast Pipelines. When you have deadlines approaching, call South Coast Pipelines. With a proven track record of successful project completions, South Coast Pipelines utilise their extensive knowledge and experience to provide class-leading services. 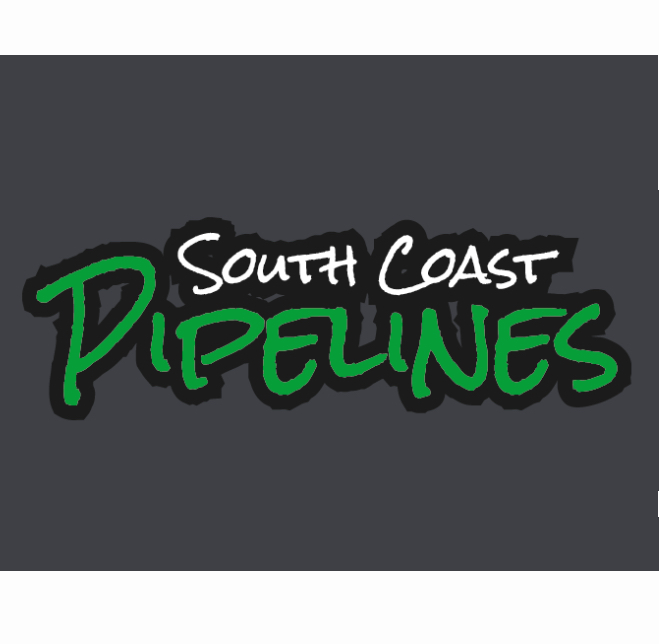 From the initial consultation through to project completion, South Coast Pipelines offers professional service. Do you have a technically demanding pipeline project? There is no job too complicated for the engineering expertise of South Coast Pipelines. Working in various fields, such as pipe installation, mining/construction, irrigation, plumbing, civil, rigging and boiler making ensures the specialised welders have the skills and resources to complete your project on time and on budget. 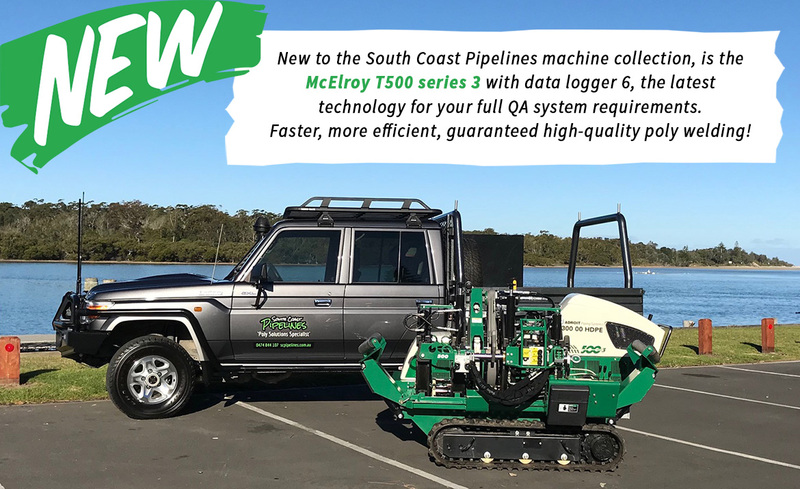 Utilising the performance and precision of the McElroy TC 500 Series 3, South Coast Pipelines makes light work of the most complicated poly welding projects. Offering competitive pipe fusion services, South Coast Pipelines ensures your projects run smoothly. Simplify the workload by engaging the industry leaders that can handle all the facets of your pipelines project in-house. While the team provide a streamlined service that will save you time, money and hassle, safety is always a priority. The team are very proud of their zero incident record. All work is completed following relevant safety regulations and requirements. Engage the services of the industry experts and enjoy the confidence of assured service. The team of specialised welders are fully insured and qualified. Workplace health and safety documentation is available on request. 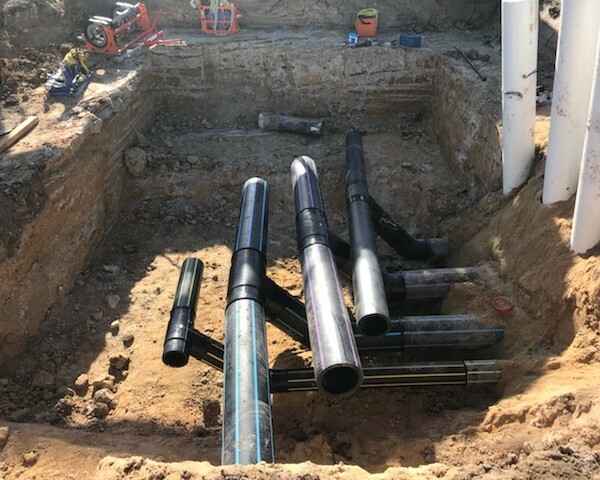 With a passion to continue to set the benchmark and raise the standard, South Coast Pipelines continues to learn, develop and refine to ensure they can provide you with the very best pipeline services. 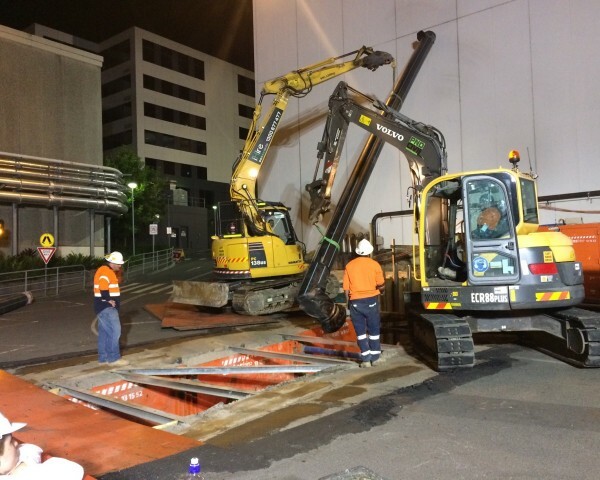 Based on the South Coast of New South Wales, South Coast Pipelines services Sydney, Regional New South Wales and all major metropolitan areas in Australia. If you would like to discuss your project with an industry expert that is passionate about their craft, give the team a call today. HDPE pipe solutions you can rely on. Project management that you can trust. South Coast Pipelines is ready to help complete your project. Visit the company website to discover the complete range of services the team provides.